I have known Jim & Jean Groseclose all the years they have lived in Fairfax, plus I knew Jean when she and her sister Charlotte used to go to St. Mary's High School. I asked Jim & Jean if they would give me a little history on their 50 Plus year relationship and they were gracious enough to provide me with it. Congratulations to a wonderful couple, on their 50th Wedding Anniversary. 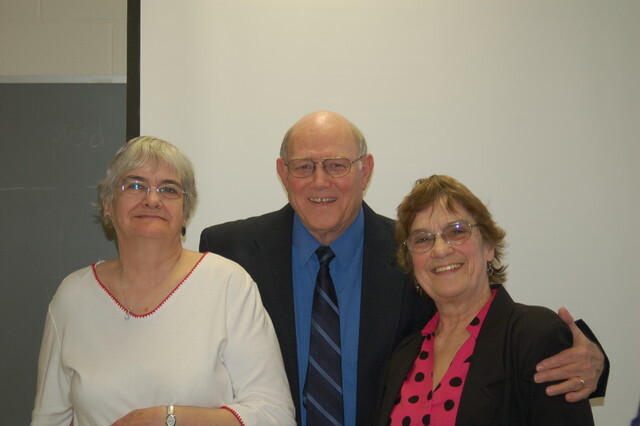 Jim & Jean Groseclose celebrated their 50th Wedding anniversary on Sunday March 7 with a Mass followed by a reception hosted by their Children. One of the highlights was a slide show of pictures from each of their backgrounds through the present time. 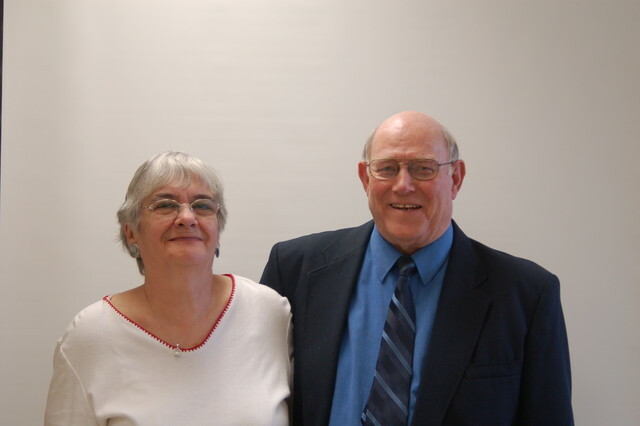 They were married on March 7th, 1960 at St Mary’s Church in St Albans, Vt. They met in 1958 after Jim arrived at the St Albans Air Force Base from the cold tundra of Limestone Maine. He ask where in town the action was, happy to be in a place with a much higher population than Limestone. He was told there were two hot spots in St A. One was the Dairy Bar and the other was a real Bar named The Brown Jug. He visited the Dairy Bar first and saw a beautiful girl working there. She captured his heart and he captured hers. The next fifty plus years are history. Over the years they managed to raise five children, three girls and two boys. They supported all of them in school, following them as they played sports, as coaches, attending school plays, getting the children to church activities. 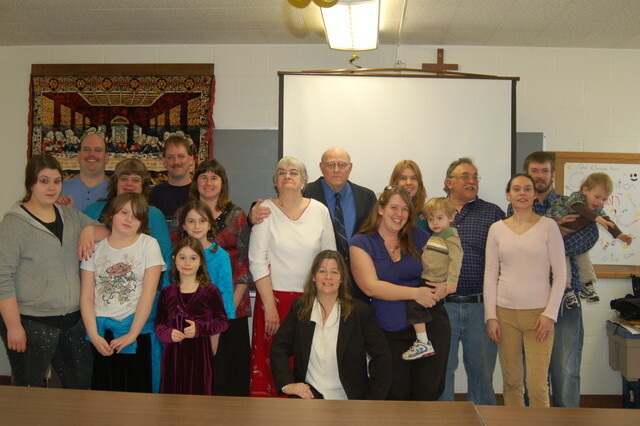 Eventually the children started families of their own and presented them with eight grandchildren and two great grandsons. Jim worked for IBM for nearly 30 years and Jean stayed home to be the support for the children there. In addition to being a homemaker, and doing all the things mentioned before, she served as, Girl scout leader, Chaperone for field trips, taxi driver for the children, and maker of goodies for many school and church activities. In her spare time, Jean also was a Meals on Wheels driver and local Coordinator for many years. 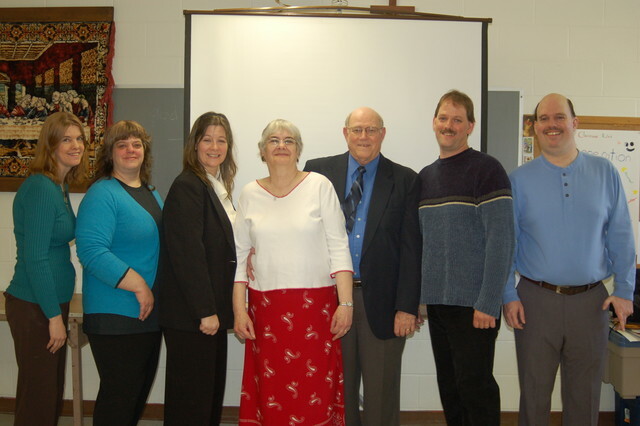 Both Jim and Jean have been active in many Church ministries and groups somethey did together, others separately. Needless to say they both have had a full, busy and wonderful 50 years together. I received the photos from Jim & Jean today and thought you might enjoy seeing them and their 5 children as well as their grand children & great grand children - Thanks Jim & Jean for telling us the story of your First 50 Years and also sharing the photos. They look too young for a 50. Maybe I am getting too old..........effffff. Hope she keeps me around for the rest of the 32. I do have a big life insurance policy. I am careful that she is NOT behind me when I walk sown the stairs.